The next taxonomy in our Utilities Suite is the WAND Water Utilities Taxonomy. Water utilities provide one of the more important requirements in our daily life - clean, safe, reliable water. To achieve that, there are many steps and processes involved from the source to the tap. In the new WAND Water Utilities Taxonomy there is a foundation of 583 terms and 276 synonyms related to that process - beginning at the water source, moving through the utility infrastructure, and ending with clean, deliverable water. This taxonomy also includes terms relating to Water Systems, Water Distribution, and Water Quality, Water Utility Metrics, Water Resource Management, and Maintenance and Construction. Other top level terms in the taxonomy are Associations and Organizations, Forms, and Standards and Guidelines. Those terms can be customized to fit the needs of any Water Utility Company. The WAND Water Utilities Taxonomy is designed to provide terms specific to water utility companies and should be used in conjunction with the WAND Utilities Taxonomy. 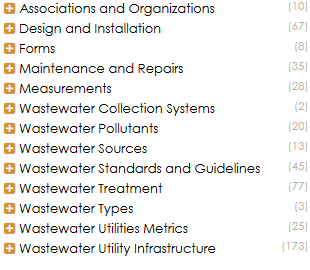 Also, watch for our soon-to-be released WAND Wastewater Utilities Taxonomy in the suite of Utilities Taxonomies. It will be the perfect companion taxonomy for any company that provides both water and wastewater services to their customers. As with all WAND Taxonomies, the WAND Water Utilities Taxonomy is available separately or as part of the WAND Taxonomy Library Portal. Synchronizing taxonomies between on-premise SharePoint and SharePoint Online has been a challenge for hybrid SharePoint users. The inability to seamlessly move taxonomies from the SharePoint Online term store to the SharePoint on-prem term Store, and vice-versa, has made it hard to enforce tagging with consistent term sets. Or, companies that have invested in taxonomy in an on-premise environment have been limited in moving to SharePoint Online because of this lack of support. Despite the challenges, it’s incredibly important that term sets remain synchronized so that all content throughout an enterprise is tagged consistently with the same taxonomy terms. Until now, the only solution has been third party add-ons or complex database operations. Online term store will automatically syndicate down to the on-premise term store, including retaining the same GUID for each term. Term sets that are currently in SharePoint on-premise environments can be migrated to SharePoint Online using a one-time administrative PowerShell script. The source taxonomy will live in SharePoint online. On premise term stores will each connect to the SharePoint Online term store to access the taxonomies. Each on-premise term store can choose which groups to subscribe to and these groups will be synchronized using the new Taxonomy Group Replication Timer Job. If you have not yet used the Managed Metadata Service or built a taxonomy, WAND has a General Business Taxonomy available as a free download for SharePoint users. The WAND General Business Taxonomy can be imported directly into the SharePoint term store and includes a basic set of terms for HR, Sales and Marketing, Legal, IT, and Accounting and Finance. It’s a great way to being to play with the SharePoint Term Store. If you need more detailed term sets, WAND has developed a complete library of taxonomies covering nearly every industry vertical and business function. 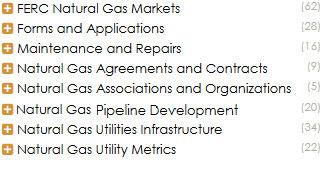 The next taxonomy in our Utilities Suite is the WAND Gas Utilities Taxonomy. It is designed to provide terms specific to gas utility companies and should be used in conjunction with the WAND Utilities Taxonomy. You may be familiar with our WAND Electric and Gas Utilities Taxonomy which has been a part of the WAND Taxonomy Library Portal for several years. We decided that it was time to also create an expanded independent Utility Taxonomy and then follow that with individual taxonomies for the various utility providers. We will keep the WAND Electric and Gas Utilities Taxonomy as a legacy taxonomy. The new WAND Gas Utilities Taxonomy provides a foundation of 212 terms and 105 synonyms and can be customized to fit the needs of any Gas Utility Company. This taxonomy includes terms relating Natural Gas Utilities Infrastructure, Pipeline Development, Maintenance and Repairs, and Metrics as well as Natural Gas Agreements and Contracts, Associations and Organizations, Forms and Applications, and FERC Natural Gas Markets. The WAND Electric Utilities Taxonomy is also available for companies that provide both Gas and Electricity to their customers. Watch for our soon-to-be released WAND Water Utilities Taxonomy and the WAND Wastewater Utilities Taxonomy in the suite of Utilities Taxonomies. The next taxonomy in our Utilities Suite is the WAND Electric Utilities Taxonomy. It is designed to provide terms specific to Electric Companies and should be used in conjunction with the WAND Utilities Taxonomy. The new WAND Electric Utilities Taxonomy provides a foundation of 698 terms and 270 synonyms and can be customized to fit the needs of any Electric Utility Company. This taxonomy includes terms relating to Demand Side Management, Electric Associations and Organizations, Electric Utilities Standards and Guidelines, Electric Utility Infrastructure, Electric Utility Metrics, Electricity Generation, Electricity Rates, Electricity Transmission and Distribution, and Forms. Watch for our soon-to-be released WAND Gas Utilities Taxonomy, WAND Water Utilities Taxonomy and the WAND Wastewater Utilities Taxonomy in the suite of Utilities Taxonomies. As with all WAND Taxonomies, the WAND Utilities Taxonomy is available by itself or as part of the WAND Taxonomy Library Portal. The latest addition to our WAND Taxonomies is the WAND Utilities Taxonomy, the first in our new suite of utilities taxonomies. It provides terms common to all utility companies including Electric Utilities, Gas Utilities, Water Utilities, and Wastewater Utilities. 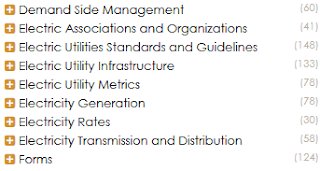 The new WAND Utilities Taxonomy includes terms related to the different types of utility providers such as Investor Owned Utilities, Cooperative Utilities, or Municipal Utilities. 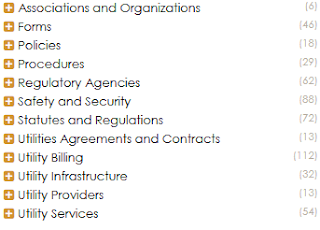 Top level terms include Associations and Organizations, Forms, Policies, Procedures, Regulatory Agencies, Safety and Security, Statutes and Regulations, Utilities Agreements and Contracts, Utility Billing, Utility Infrastructure, Utility Providers and Utility Services. This taxonomy provides a foundation of 614 terms and 142 synonyms and can be customized. Watch for our soon-to-be released WAND Electric Utility Taxonomy, WAND Gas Utilities Taxonomy, WAND Water Utilities Taxonomy and the WAND Wastewater Utilities Taxonomy in the suite of utilities taxonomies. 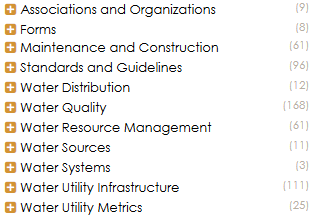 The WAND Utilities Taxonomy was designed to be a companion taxonomy to the Electric Utilities, Gas Utilities, Water Utilities and Wastewater Utilities Taxonomies. As with all WAND Taxonomies, it is available by itself or as part of the WAND Taxonomy Library Portal. WAND Taxonomies are the only third party taxonomies explicitly supported for use in IBM Watson Explorer. In today's blog post, we wanted to do a deeper dive on the value of taxonomy in IBM Watson Explorer. These features are all already very well described in the IBM Watson Explorer product documentation, by the way, so this blog can be considered a supplementary resource. Taxonomy is a important ingredient to provide users with the absolutely best experience with the IBM Watson Explorer search engine. There are three key value adds for taxonomy in IBM Watson Explorer. 1) Synonym Query Expansion. Users want to get consistent results. A user who searches for HR should get the same results as somebody who searches for "Human Resources" because these are the same concepts. If a search for "HR" only returns 15 results, and a search for Human Resources returns 24 results, AND only 5 results appear in both searches, then there is a major completeness and consistency problem. Depending on which version of the same concept a user searches for will affect what the user finds. It also won't be obvious to the user that they are missing out on a lot of possibly relevant information. From a search perspective, taxonomy is helping to expand the "recall" of the user query. 2) Related, Broader, and Narrower Query Expansion. Synonym query expansion is designed to add to your query withe other ways to reflect the same concept. Related, Broader, and Narrower query expansion are designed to add to the user query with other concepts that may be relevant. For example, if using a Narrower query expansion with the WAND Finance and Investment Taxonomy, a query for "Currencies" could be expanded to also search for Dollar, USD, Peso, Euro, Yen, and more from. Users would be able to control the expansion by selecting/de-selecting the specific terms that are in the taxonomy. 3) Auto-Classification and Metadata Refinement. While query expansion focuses on "recall" of search, auto-classification and metadata refinement provides the user with significantly improved control over the precision of search results. Taxonomy can be imported into the IBM Watson Explorer auto-classification module. This module will crawl all of your documents and, based upon rules, classify each document into the relevant taxonomy categories. Then, when users perform a query, the result set can be refined by clicking on one of the taxonomy terms (or branches) to narrow down the result set to only those which were automatically classified to that term. So, in one click, a user may go from 2500 results to a sub-set of 15 results that have been classified to a specific topic of interest.This is very similar to the way that a user on an e-commerce site can narrow down the product result set by things like color or brand. IBM Watson Explorer does have algorithmic clustering which provides refiners based on what the engine deems to be statistically interesting within your document set. This can reveal interesting concepts but can also be subject to a lot of noise, as it is not curated. A term may be statistically significant but not interesting to a human. Taxonomy and Auto-Classification provides refiners based on a curated set of terms which a library scientist (or your corporate taxonomist!) has deemed to be important. Both approaches add value and they should be considered complementary. The algorithmic clustering may identify some concepts or synonyms which could be added to the official taxonomy. In summary, taxonomy in Watson Explorer provides the users with a number of valuable tools that provide greater relevancy, recall and control over the search experience. WAND Taxonomies cover nearly every vertical industry segment and business functional area so that relevant taxonomy content is easily available for all clients. Users of IBM Watson Explorer can jump start taxonomy creation with access to the WAND Taxonomy Library Portal and download taxonomies in a format that imports directly into IBM Watson Explorer. Today we are releasing a brand new taxonomy designed specifically for businesses that also have facilities management needs: The WAND Facilities Management Taxonomy. 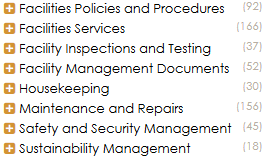 In this taxonomy of 604 categories and 325 synonyms are terms relating to all areas of Facilities Management including Maintenance and Repairs, Housekeeping, Sustainability Management, and Facilities Services. You'll also find terms relating to Safety and Security, Policies and Procedures, Documents, and Facility Inspections and Testing. provides a strong foundation of terms and can be customized to include additional terms related to a specific type of facility. As with all WAND Taxonomies, the WAND Facilities Management Taxonomy is available by itself or as part of the WAND Taxonomy Library Portal.